At CarMark Hawaii we know that sometimes a person decides to sell a used car, and they want to do it right away – not a week or a month from now. Sometimes it’s a case of needing cash right now, other times it may be urgent because of an emergency, moving from the island, or being deployed. Everyone has their own reasons, but when you want to sell your used car for cash in Honolulu right now, there are very few options. We buy used vehicles on the spot, paying you the cash you need now! You could put your vehicle on Craigslist and hope to get a few replies, but how long would it be before you’d find a legitimate buyer? There is no way to know. There have also been more than a few “crazies” respond to these ads, so there’s that to consider as well. You could list your car, truck, van, or SUV in the local newspapers, but will you get any interest – and if so, when? Listing items for sale in the papers doesn’t usually get immediate interest, so this may not be the best route. You’ll also have to spend money on the ad in most cases. Same with trying to sell your used car for cash to a car dealer in town. 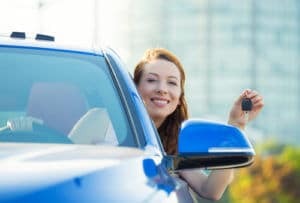 Most are looking for trade-ins from those interested in buying a new car, and because they’re not in the business of buying used cars you can be sure you won’t get top dollar from the dealership. Their priority is profit and selling new cars for high dollar. Your best bet is to fill out our online appraisal form and get the answers you want today. It takes just a minute, and you’ll know before the end of the day if we can make a deal! If you’re ready to sell your used car for cash in Honolulu right now, look no further than CarMark Hawaii.